Just for today, allow your focus to be on that what you do want for your life – let your attention not be on that which is missing, but that which are current blessings, appreciation and all those beautiful manifestations that you are creating because you are worthy. Start there, start with feeling worthy of you, your voice, your talents, your skills, your abiilties and most importantly your love. You are guided to feel worthy. We all love ourselves. We all take responsibility for our lives, take care of ourselves and generally take our best interests to heart. We may not always take time for ourselves or we may put our children first, but does that mean we don’t love ourselves? Very often we feel whole within ourselves when we show our dedication and commitment as a caregiver, a mother, a father, a breadwinner. This makes us feel good and in turn, feeling good about ourselves reflects self-love. The question you have to ask yourself is – am I worthy? This is where self-love takes on a whole new perspective. Self-worth means I value ME. Self-worth means I allow myself to RECEIVE. Self-worth means I make decisions based on what I DESERVE and that I have CHOICES. Self-worth means I don’t have to be satisfied with anything less than the best. Allow yourself to be worthy of being a child of God, the Universe. Feel the beauty, abundance and joy fill up from your inner core and step into the power of feeling WORTHY. 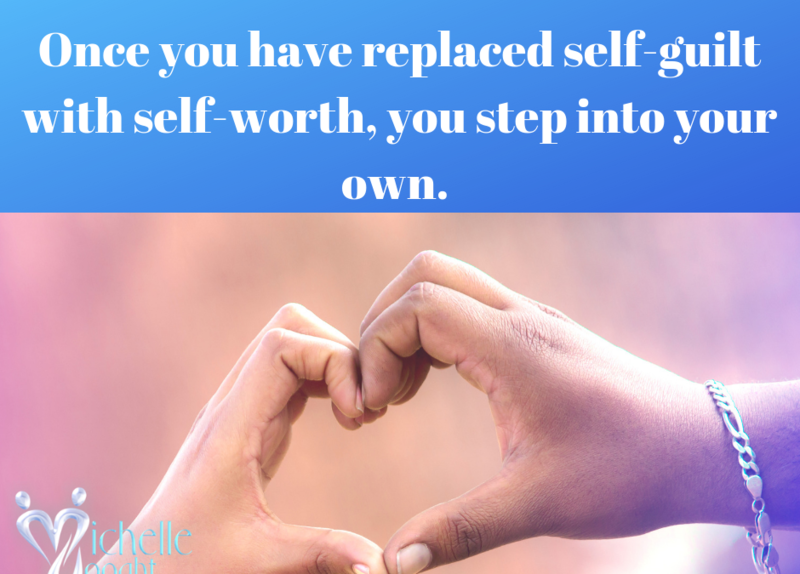 Once you have replaced self-guilt with self-worth, you step into your own. You don’t need to earn or deserve this – RECEIVE this. Accept the gift of self-worth and experience how your higher vibration attracts only that of which you are worthy.